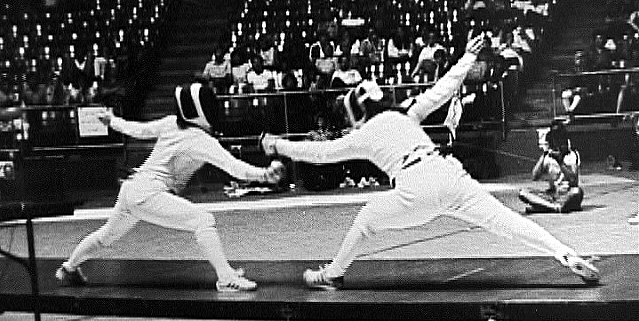 Hope (right) fencing in the National Championships. Hope Konecny has been fencing for over 30 years. 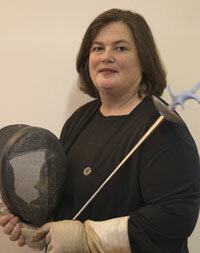 She was two time Connecticut high school state champion, a member of an NCAA championship fencing team at San Jose State in California, and earned a silver medal in the 1981 USA national championships. Hope represented the USA at two world university championships and one world championship. After retiring from competition, Hope taught fencing at Julliard and at the Trinity School in New York City, was head coach of the Bard College NCAA fencing team, and also taught fencing at Rensselaer Polytechnic Institute. Hope has been teaching fencing at the Gristmill since 1997.